Visiting ancient temples is like everything else, everybody is different. Some people slowly work their way through in awe taking in every intricate detail, and some people fly around like they are on their weekly grocery shop. So we've made our itinerary ideas with the core items that you don't want to miss, which are all possible at a steady pace, plus some potential *Extras* if you're making good time. 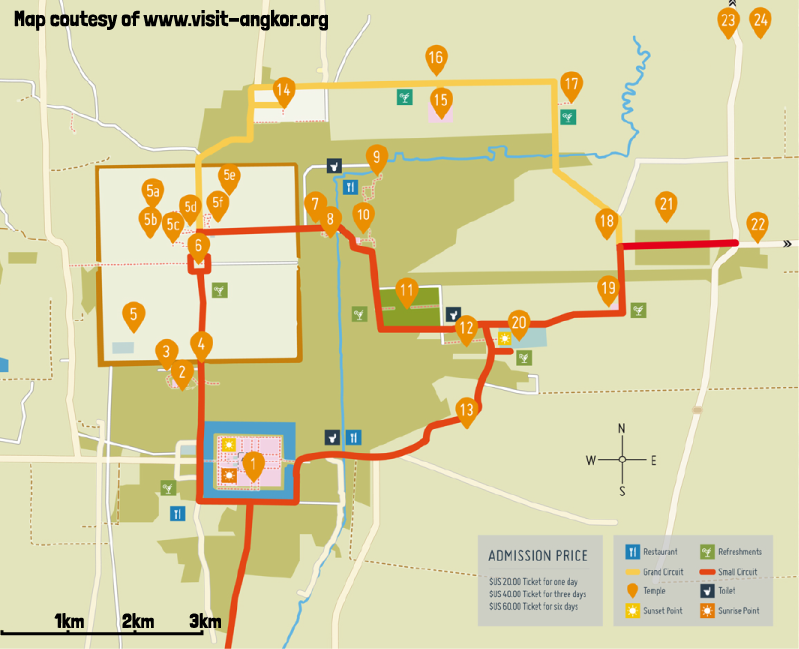 Each includes a very brief description of each temple, and further information is available for each temple in the 'Angkor Small & Big Circuits' highlight page. 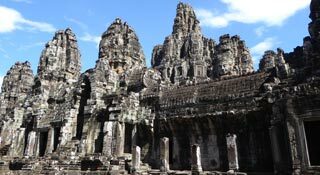 Angkor Wat, Bayon and some of the outer temples also have a separate highlight page. 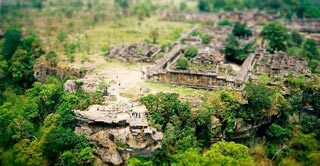 The sunrise is close to 6:00am and sunset close to 6:00pm all year round at Angkor. Half day With a half day, you can squeeze in the most iconic sights. 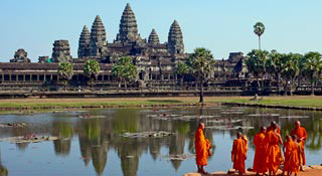 1 - Angkor Wat - A 5:00am pick up to go see the famous Angkor Wat sunrise. You can also see a great sunset here if a 04:30 get up isn't working for you. 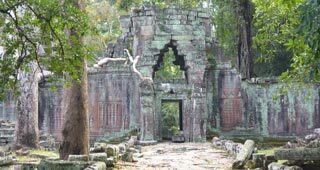 4 - South Gate of Angkor Thom - You will pass over the statue-lined bridge and through this gate going from Angkor Wat into the walled city of Angkor Thom. 6 - Bayon - The pleasantly imposing smiling faces of Bayon at the centre of Angkor Thom. It's often people's favourite and for good reason. 11 - *Extra* Ta Prohm - The amazing Tomb Raider temple overtaken by impressive giant trees. Full Day You can get a fair amount into a long day. 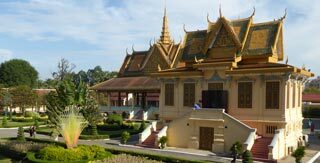 Angkor passes go on sale at 4:30pm for the next day, so best to get your ticket the evening before if you can. The pass is valid from 5:00pm the day you buy your pass, so you can see a sunset that evening if you wish. 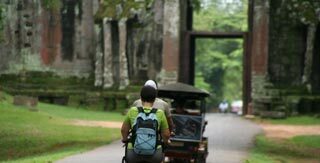 1 - Angkor Wat, 4 - South Gate of Angkor Thom and 6 - Bayon same as a half day. 5b - Phimeanakas - Just behind Bayon, walk down the causeway to Phimeanakas Gate, past Baphuon and follow the path round to the Pyramid of Phimeanakas. Climb the steep steps for a beautiful view. 5c - Terrace of Elephants - Keep walking round through to the cool elephant statues then walk north along the platform. 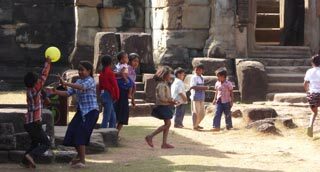 5c - Terrace of the Leper King - Just after the Terrace of Elephants with its many carvings of nagas, demons and other mythological beings. 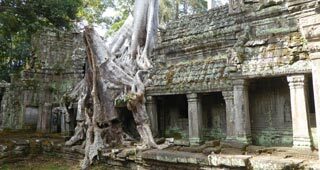 11 - Ta Prohm - The amazing Tomb Raider temple overtaken by impressive giant trees. 12 - *Extra* - Banteay Kdei - An atmospheric temple which tends not to get very crowded so wonderful to visit late afternoon. 19 - *Extra* - Pre Rup - A good place to catch the sunset and you get the sunset across the Cambodian jungle landscape as at Phnom Bakheng (with fewer crowds) and also get parts of the temple in your snaps. 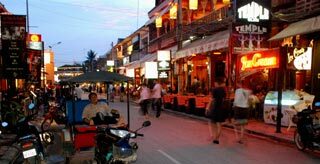 20 - *Extra* - Srah Srang - An alternative sunset place with far less people around. A great view of the baray (reservoir) water reflection of the sun and jungle in the background. 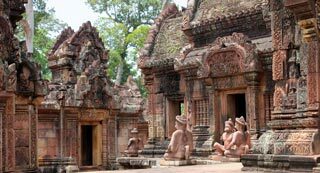 OR After the half day first four sites you could just choose just to go to either: 23 - Banteay Srei - 28km north of Bayon, small in size but has the most stunning of all the stone carvings at Angkor. 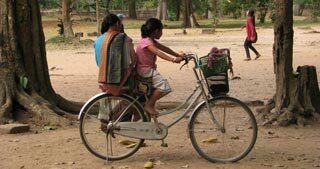 The ride through rural Cambodia to get here is also great. Not as busy in the late afternoon. 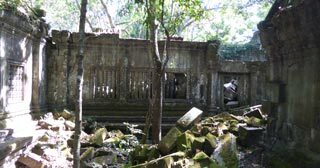 Ben Mealea - Beng Mealea is 60km from Bayon. 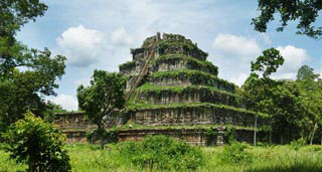 A superb large temple half collapsed and left to be devoured by the forest. A caretaker will guide you through the collapsed sections for the Indiana Jones experience. 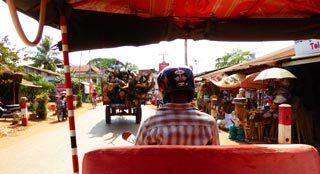 See 'Itineraries for 2 & 3 Days' for more.